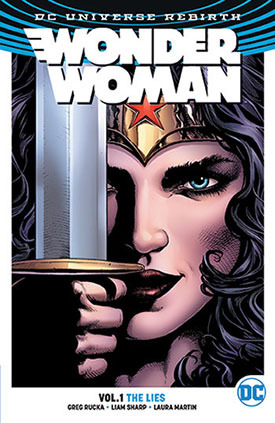 Author: Greg Rucka, Nicola Scott, Romulo Fajardo Jr.
New York Times best-selling writer Greg Rucka continues his return to WONDER WOMAN! The team of Rucka and artist Nicola Scott weave the definitive and shocking tale of Diana's first year as Earth's protector. Paradise has been breached, Ares stirs, and the Amazons must answer with a champion of their own...one who is willing to sacrifice her home amongst her sisters to save a world she has never seen. Wonder Woman's journey begins in this epic origin story! Much better! For those of us with a not much background in the character, this volume really allowed me to explore the history of Wonder Woman. It brought the character into the 21st century and reintroduced the major players. I really enjoyed the artwork in this one and love the storyline.